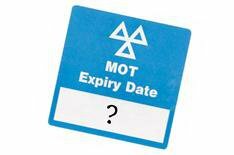 Biggest ever MOT fraudster found guilty | What Car? The man behind the biggest ever MoT fraud has been found guilty of three counts of conspiracy to defraud at Leeds Crown Court. Roobik Mirzabegi, 51, used four garages in Leeds to issue thousands of invalid MoT certificates for vehicles that were not properly tested. The Vehicle Operator Services Agency (VOSA) lacks exact figures, but Mirzabegi is said to have made 'vast sums of money' from the fraud. His brother, Hakop Mirzabaigian, was also found guilty of forgery and was fined 6500. Ten other men were prosecuted in January for their part in the operation. Sentencing of Roobik Mirzabegi will take place at a later date.